"I believe in you. I believe in the fact that one day, your streak of bad luck will end and that you will find happiness at the end of the tunnel." "You know, I am beginning to think you're right. 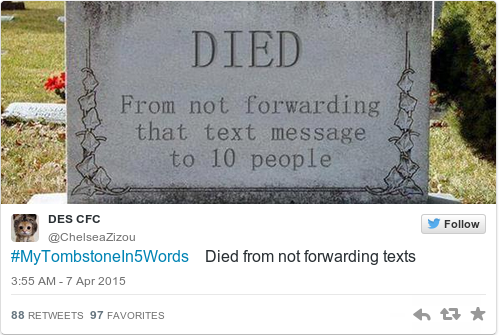 I should have just forwarded that chain mail to people." "Instead, you chose to be cool. You decided to not forward that mail to people and now look, you're left with one whole year of terrible luck." "It's nice of you to think this streak will end."